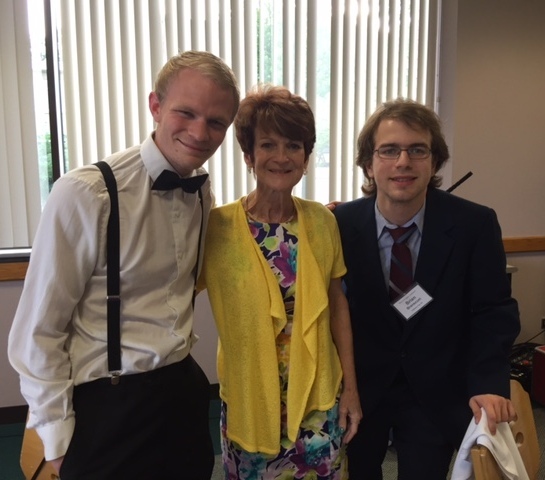 Christy Award-winning novelist DiAnn Mills is shown with Taylor University professional writing students Luke Wildman (left) and Brian Branscum at the closing banquet of the 2015 Write-to-Publish writers’ conference held in Wheaton, Illinois, from June 3 – 6. DiAnn taught a continuing class in fiction writing during the conference. Luke and Brian won scholarships to attend this conference, and Luke was presented the award from Lighthouse Publishing of the Carolinas as most promising emerging novelist. He and Lighthouse Publishing’s acquisitions editor Rowena Kuo will be working on preparing Luke’s novel for publication. Read more about it on the official Taylor site!